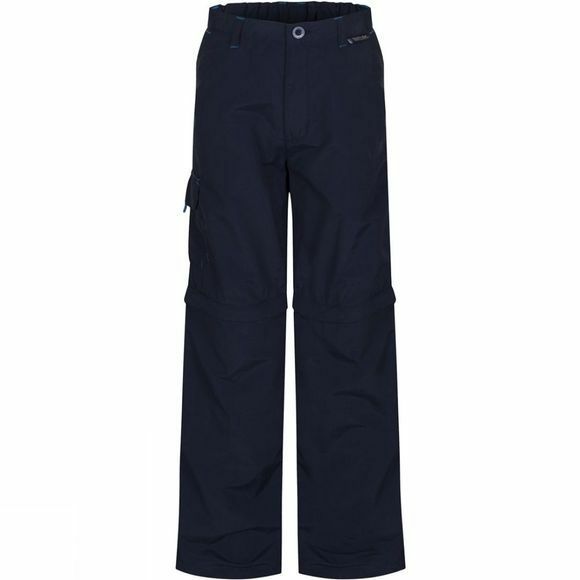 The Kid's Sorcer Zip-off Trousers from Regatta are a highly versatile option for kids that love to get outdoors. they are quick drying and crease resistant to keep them looking smart all day while the part elasticated waist with button adjustment system helps them fit better for longer. The legs zip off just above the knee so they can be converted into shorts, and back again, mid-adventure.